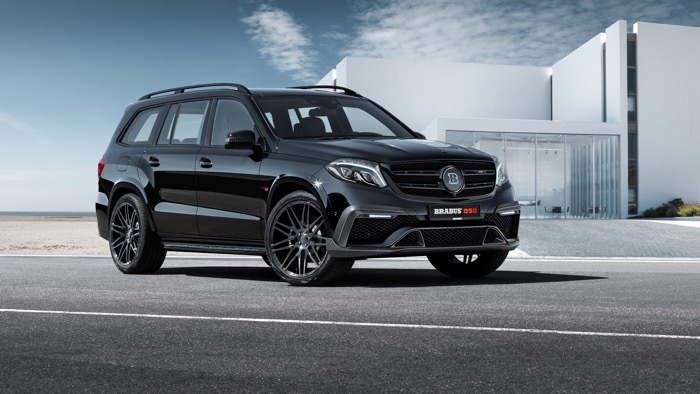 Brabus have launched what could be the world’s most powerful SUV, the Brabus 850 XL which comes with a massive 850 horsepower. 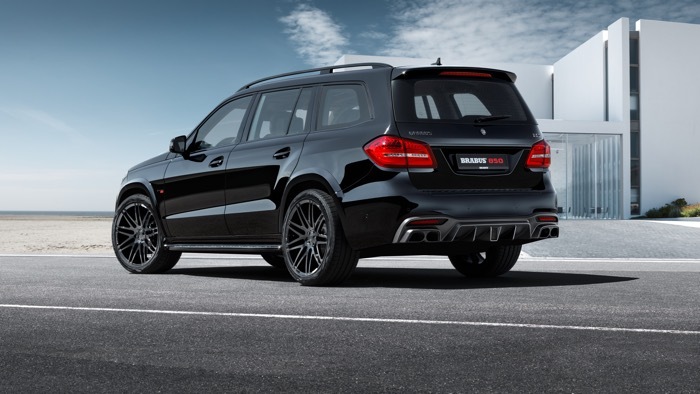 The Brabus 850 XL is based on the Mercedes GLS and it has a top speed of 300 km/h and 1,450 Nm of torque. Some like it extra-large and super strong: That is why BRABUS (Brabus-Allee, D-46240 Bottrop, phone + 49 / (0) 2041 / 777-0, fax + 49 / (0) 2041 / 777 111, Internet www.brabus.com) has now directed its attention to the top-of-the-line model of the new Mercedes GLS-Class, the GLS 63 4MATIC. The result is a supercar that could not be more representative of BRABUS. At the heart of the BRABUS 850 XL is a twin-turbo eight-cylinder engine with an increased displacement of six liters. An output of 625 kW / 850 HP (838 bhp) and a peak torque of 1,450 Nm (1,069 lb-ft) sling the exclusive SUV from rest to 100 km/h (62 mph) in a mere 4.2 seconds. In the interest of tire safety, the top speed is limited electronically to 300 km/h (186 mph). Aerodynamic-enhancement components with a naked carbon finish and tailor-made 23-inch BRABUS Monoblock “PLATINUM EDITION” hi-tech forged wheels lend the high-performance 4×4 unmistakable looks. You can find out more details about the new Brabus 850 XL over at Brabus at the link below, as yet there are no details on pricing.